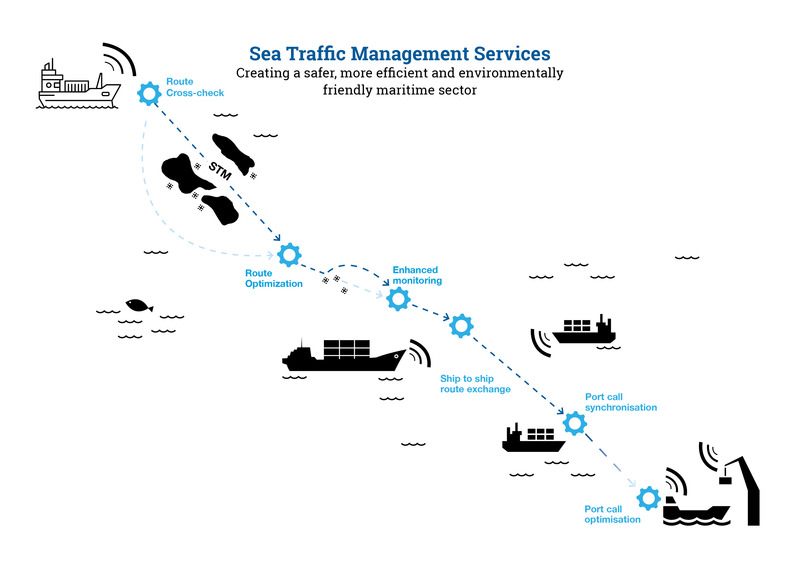 By using standards and creating interoperability Sea Traffic Management is opening up for an endless number of services. Below you find descriptions about the STM services that are being validated in the STM Validation project. The intended voyage plan is sent to a shore based service provider for cross-checking. 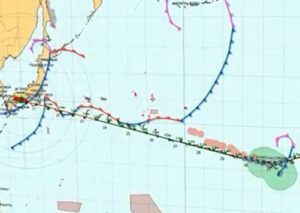 The purpose is to include updated regional area information that could affect ships voyage plan. The cross-checking can be done before the vessels departure or before arrival at a certain geographical area. The cross-check can include, but is not limited to, Under Keel Clearance (UKC), air draught, no violation of no-go areas, MSI and compliance with mandatory routeing. No optimization service as such is included in the route validation. The route optimisation tools will be different in nature with a common purpose to provide more information for the navigator on board. The STM concept will provide the means to get the ships route optimised from different service providers. The service providers has different focus including best route regarding; the weather forecast, surface currents, fuel consumption, no-go areas regarding draft, areas with sensitive nature, conflicts with other ships routes etc. 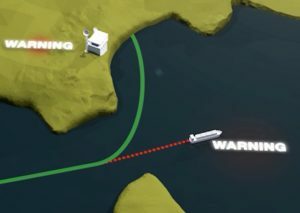 With the new Baltic Navigational Warning Service, navigational warnings can be sent directly to the on-board ECDIS via digital communication, machine to machine. 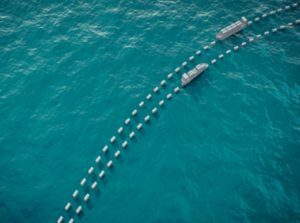 The new service allows warnings to be sent only to those affected and deleted when no longer relevant, thereby offering greater accuracy, relevance and less administrative burden and, thus, increased safety at sea. A huge step forward from Navtex. 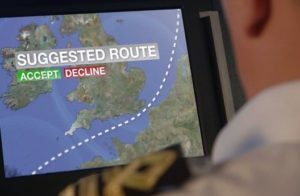 Enhanced monitoring will be supported by adding route information and a more detailed service than present VTS can be provided; shore centres will be able to detect if planned schedule is not kept or if ship deviates from planned route. 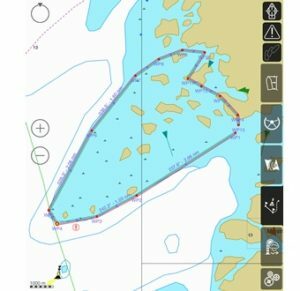 Thus shore centres can monitor that ships are following their planned route and also foresee possible dangerous situations and suggest route modifications (geographic and/or speed) due to traffic or other impeding conditions. To make sure that the ship does not arrive before the port is ready, the ship and the port Exchanges Estimates in order to find the first available time when all resources to handle the port call are available. Thi is made as early as possible to let the ship adjust the speed and possible save fuel. The ultimate goal is for all ships to arrive just-in-time, and thus remove the need for anchoring. The key actors within a port call make their plans transparent to the others. Transparency automatically leads to efficiency in the whole process chain.By sharing towards the surrounding, the port actors increase predictability and create just-in-time processes; not only the arrivals and departures of ships, but just-in-time operations all thru the port call and further on just-in-time integration with hinterland transportation leading to optimized turn-around processes. This leads to improved resource utilization for all involved port actors. 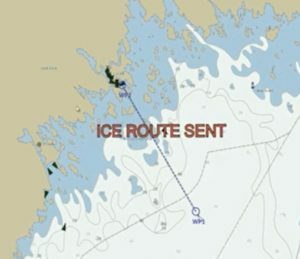 Information regarding best route, waiting positions, preparations for assistance, position in convoy, time for departures from port is important for the Icebreaking services. The information should preferably be transmitted directly to ships navigation system. Introducing route exchange will give both Icebreaker services and assisted ships better information in more automated procedures reducing workload and risk for misunderstandings. 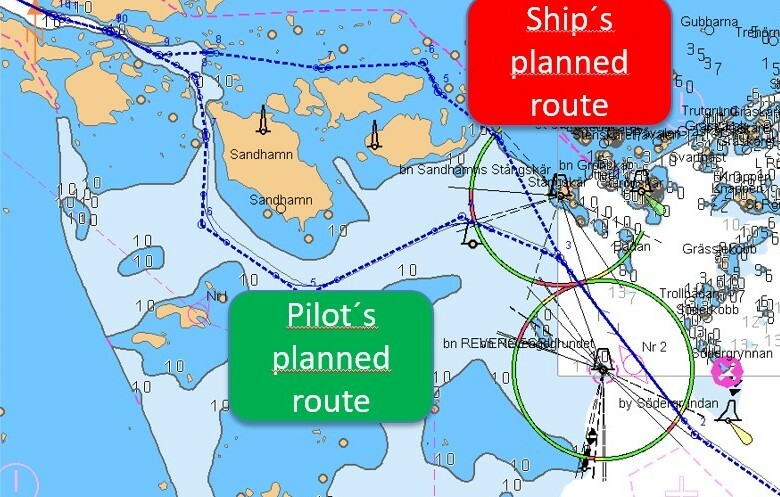 By importing and merging the approach routes when planning the ship´s route, replanning is avoided. It also means that the bridge officers and pilots will have a shared mental model of the voyage during the piloting stages of the voyage. The service is currently available for all Swedish and Finnish ports. Introducing STM in SAR services will greatly improve MRCCs overview and possibility to control SAR-units in search operations. The MRCC will be able to send areas and routes to SAR-units, which will be directly visible in the elctronic charts on-board.